The UK has offered a larger potential "divorce bill" to the EU - which could be worth up to 50bn euros (£44bn), the BBC understands. It was "broadly welcomed", political editor Laura Kuenssberg said, although No 10 has played down reports the final sum could be up to 55bn euros (£49bn). 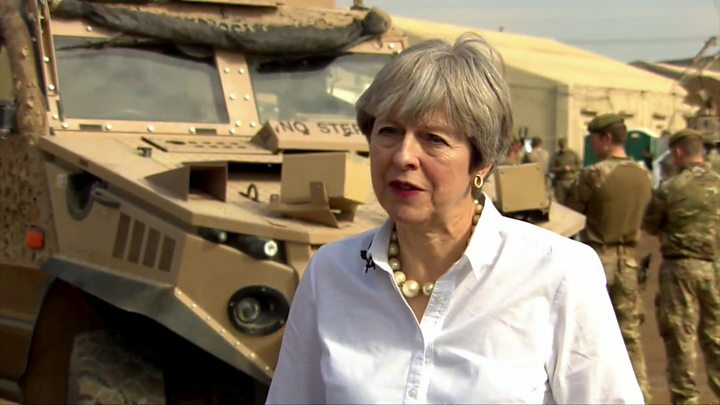 Asked on a trip to Iraq if a figure had been agreed, Theresa May said talks were continuing. And the EU's negotiator Michel Barnier said "we are not there" yet. In September Theresa May suggested the UK was willing to pay about 20bn euros to meet obligations arising from its membership but the EU has been calling for its offer to be increased. Laura Kuenssberg: What happens next?. The UK is hoping to move on to talking about trade but the EU will only do this when it deems "sufficient progress" has been made on three areas - the so-called divorce bill, the rights of EU citizens in the UK after Brexit and the Irish border. Why is the UK paying anything if it's leaving? The EU says the UK needs to settle its accounts before it leaves. It says the UK has made financial commitments that have to be settled as part of an overall withdrawal agreement. The UK accepts that it has some obligations. And it has promised not to leave any other country out of pocket in the current EU budget period from 2014-20. There are also longer term issues like pensions for EU staff, and how the UK's contribution to these is calculated for years to come, and the question of what happens to building projects that had funding agreed by all EU members including the UK but which will only begin construction after the UK has left. Large amounts of the EU's budget are spent in two areas - agriculture and fisheries, and development of poorer areas. Reality Check: What's happening with the divorce bill? Reality Check: Where does EU money go? Pressure is mounting to make progress on the Brexit talks before a crunch summit in mid-December, when EU leaders will decide if enough progress has been made on the first set of subjects to open negotiations on a future trade deal between the EU and the UK. According to the Daily Telegraph and the Financial Times, agreement has now been reached between the two sets of negotiators on how the bill could be calculated. Speaking in the Commons, Treasury minister Liz Truss declined to comment on what she described as media speculation and insisted any financial settlement was "contingent" on the UK getting the right overall outcome. But Foreign Secretary Boris Johnson said the UK would make a "fair offer" to help break the current deadlock. "Now is the moment to get the whole ship off the rocks and move it forwards," he said during a trip to Ivory Coast, where he is attending a meeting of European and African leaders. The BBC understands detailed conversations are still taking place on which specific components will be included in the final bill and how they are calculated. The final bill is likely to be paid over many years rather than in a single upfront sum. So do we know what the number will be? But there appears to have been an agreement on the way that the amount the UK pays will be calculated and the BBC understands that the range of possible settlements is between approximately 40bn and 55bn euros. 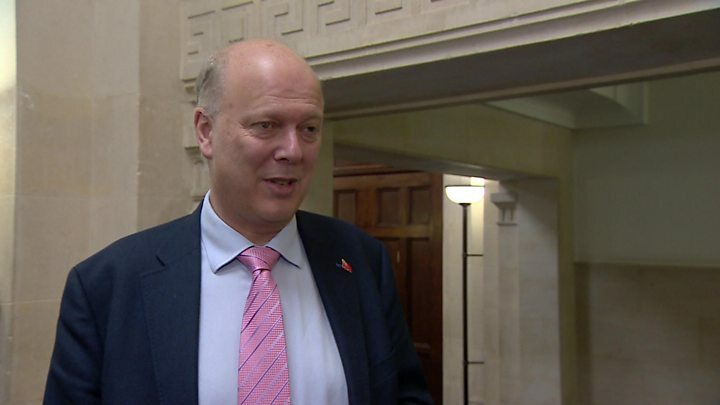 Transport Secretary Chris Grayling told BBC Radio 4's Today: "There are no numbers for us to discuss this morning. We haven't committed to numbers." Labour said it was not asking for a precise figure to be published as this was clearly "sensitive". But it said there needed to be a "transparent process" with the final figure subjected to scrutiny by Parliament and independent bodies. It is trying to force a vote on this next week. What's the other reaction been? Former Tory leader Iain Duncan Smith said the UK - which according the the House of Commons Library paid an estimated £12.2bn to the EU in 2016-17 - would save a "staggering amount of money" after Brexit. "Leaving the EU is always a bargain because we get our money back," he told BBC Radio 5 Live. But former UKIP leader Nigel Farage said the figures being reported would mean "Christmas has come early" for the EU. The long-time Brexit campaigner told ITV's Good Morning Britain that the UK was "selling out" and that even if such a sum secured tariff-free access to EU markets, this would not be worth it. But former chancellor Ken Clarke said the UK had to pay its "fair share" and "repudiating" the UK's financial obligations would result in a hard Brexit - damaging jobs and investment. Is the breakthrough we've been waiting for? Remember there also has to be sufficient progress on the issues of citizens' rights and the Irish border for EU leaders to agree to move the talks on in ten days' time. The first issue should not be a stumbling block - there has been talk of agreement being within "touching distance" but the second issue is now the "main sticking point", the BBC's Europe editor Katya Adler says. The Irish government has said it wants firm guarantees on what kind of border controls there will be after Brexit and it is prepared to wait until next year, if necessary, for them. The BBC's political editor Laura Kuenssberg said there was some talk in Whitehall of trying to agree a position which would stress agreement in the first two areas and "park" the Irish question until early next year. But she said EU officials were "pouring a freezing cold bucket of water" over the idea of a staged approach. In the meantime, she said both sides were discussing whether a joint paper could be produced before next Monday formalising what has been agreed so far so it could not potentially be unpicked at a later date. MEPs on the European Parliament have warned "considerable problems" remain and that more progress is needed before talks can move to the next phase. In a letter to chief EU negotiator Michel Barnier, the Parliament's Brexit steering group cited differences between the two sides on citizens' rights and said progress had "stalled" on the role of the European Court of Justice. The European Parliament is not leading the negotiations (that is the job of the European Commission) but it will get to vote on the final deal.